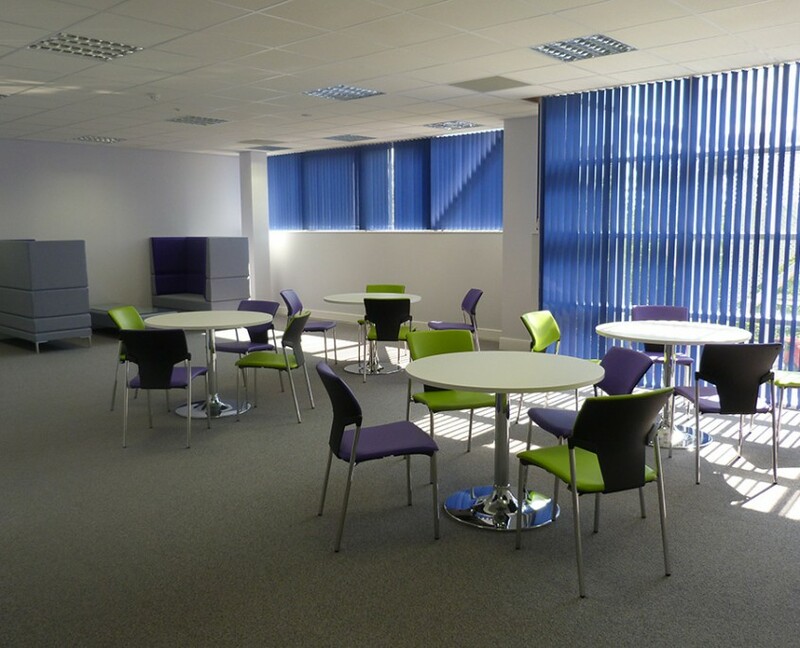 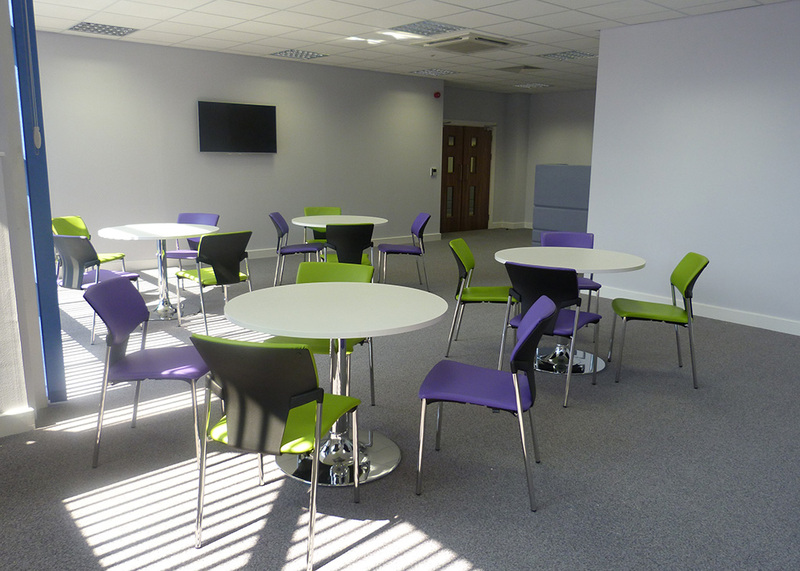 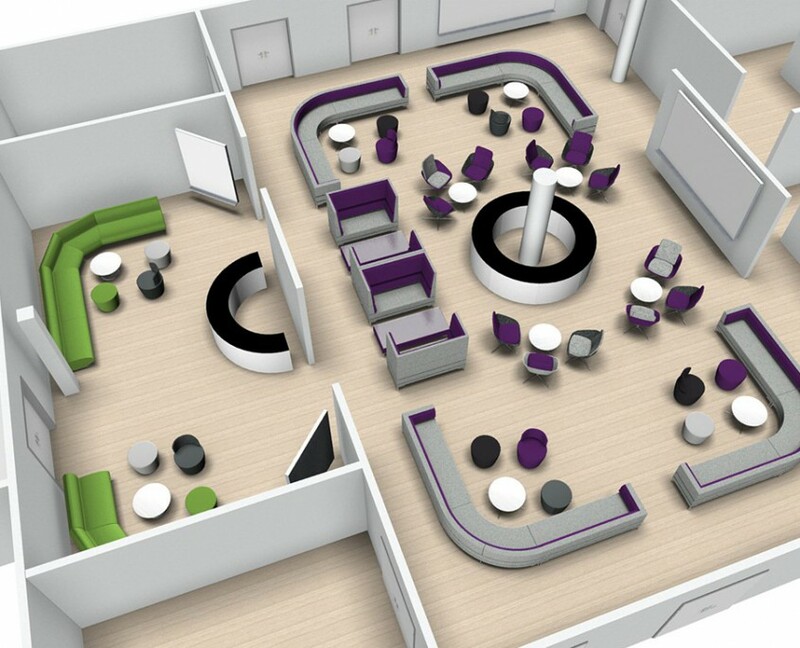 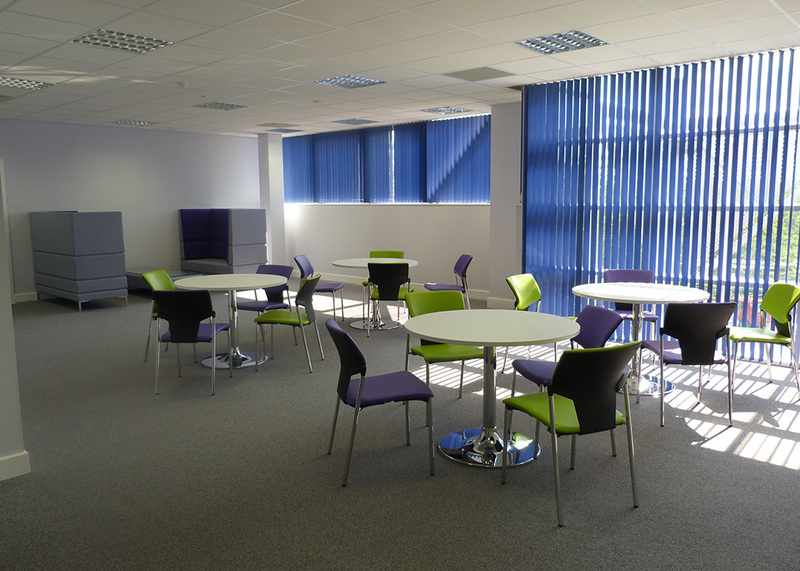 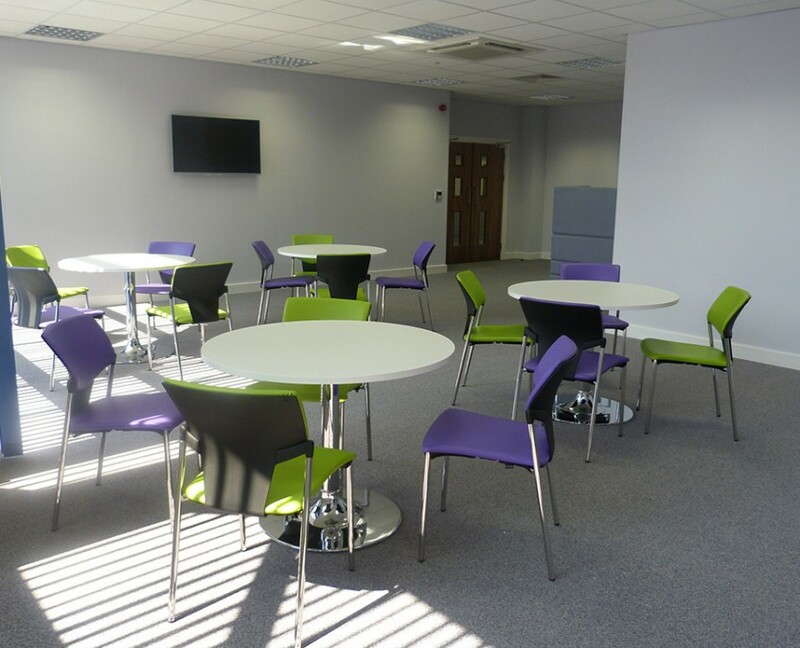 When PGI decided to open their flagship Cyber Security Centre in Bristol, they approached Ashley Reece of Reece Developments to do the fit out; who in turn asked Bevlan to advise and quote on the furniture. 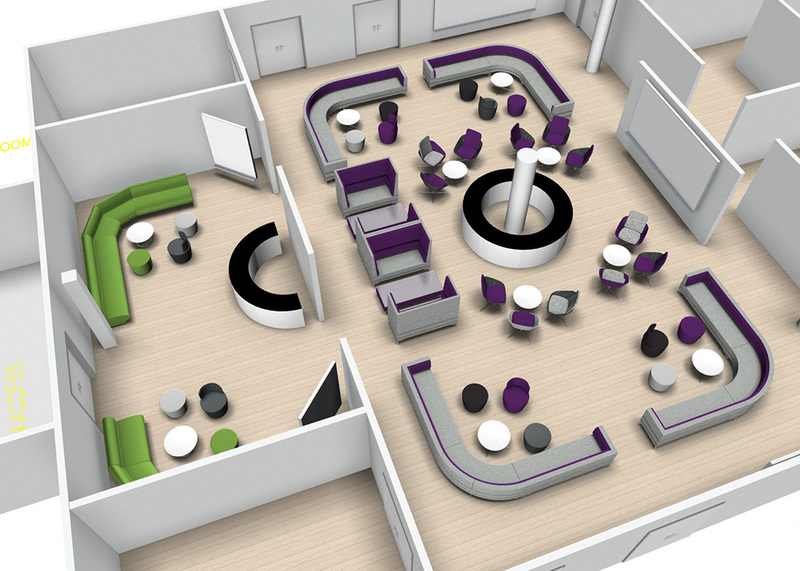 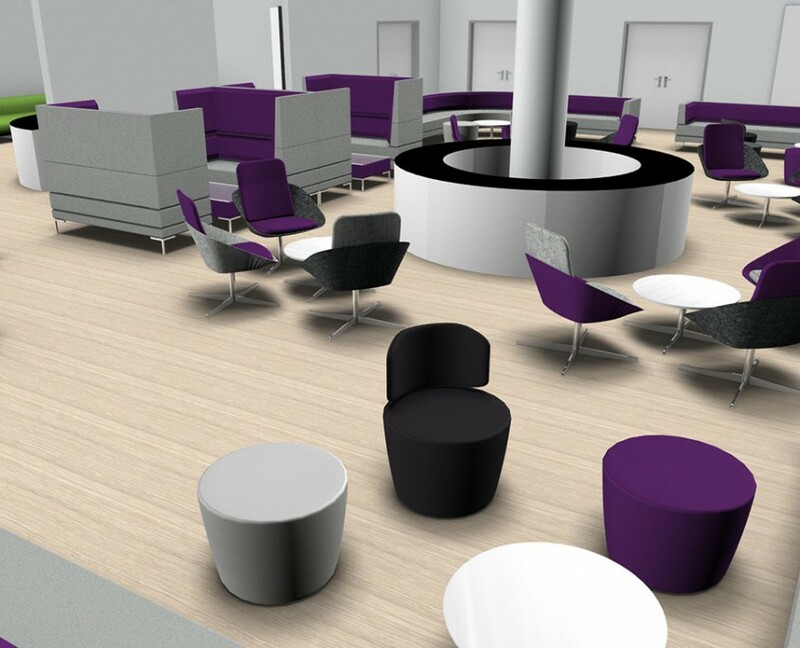 We provided CAD drawings and some visuals which gave the guys at PGI a great idea of what the finished project would look like. 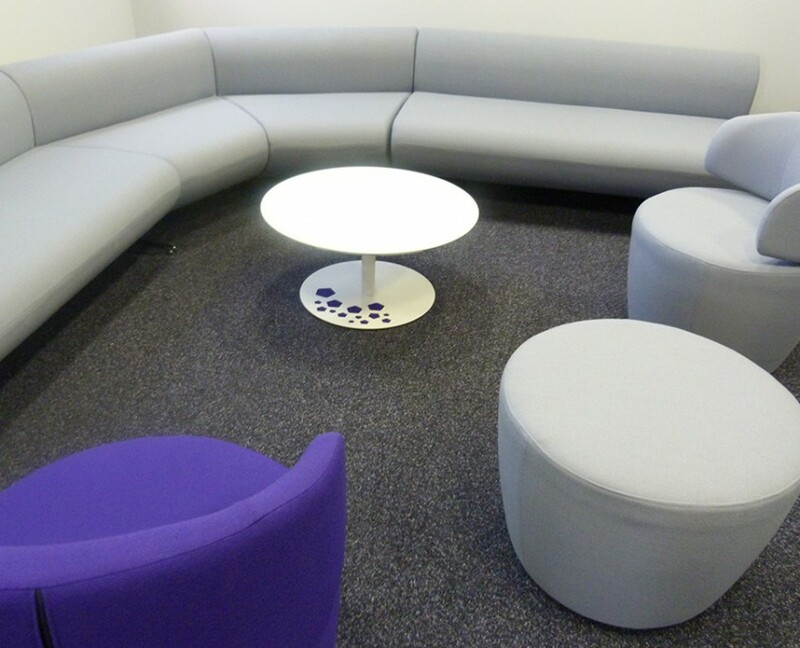 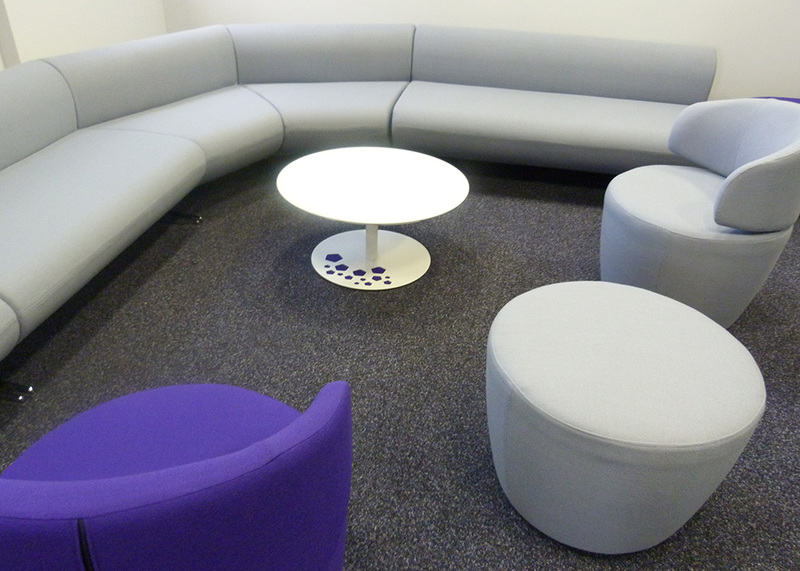 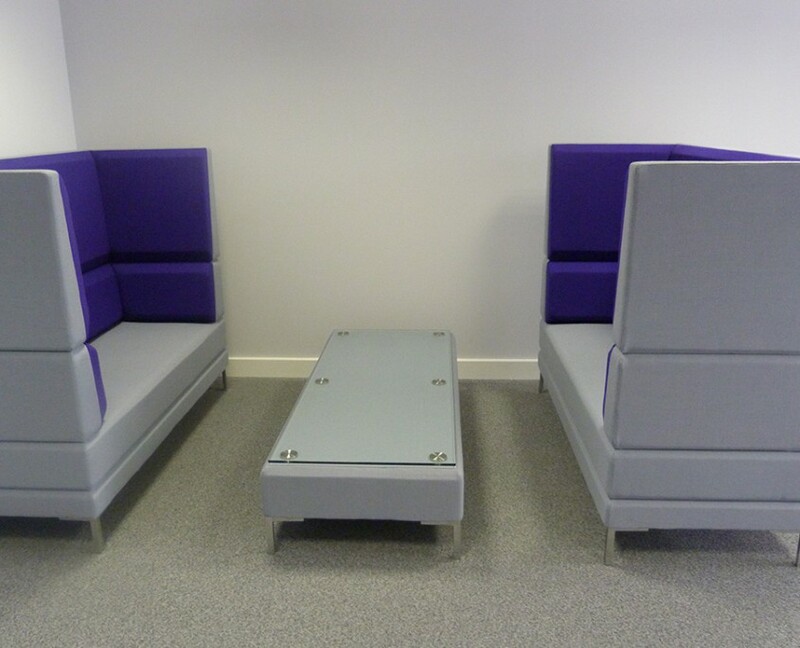 Most of the soft furnishings came from the OCEE design range HenRay for the high back and low seating. 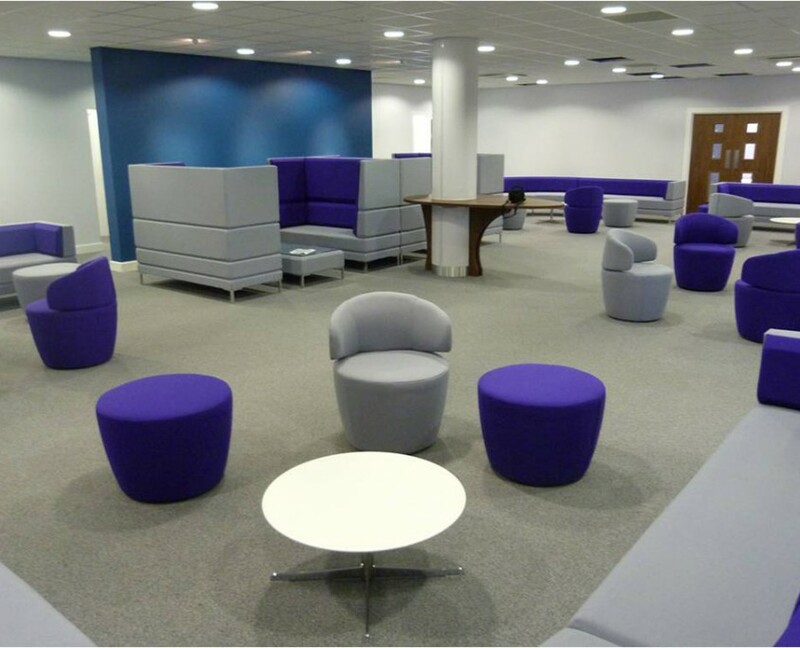 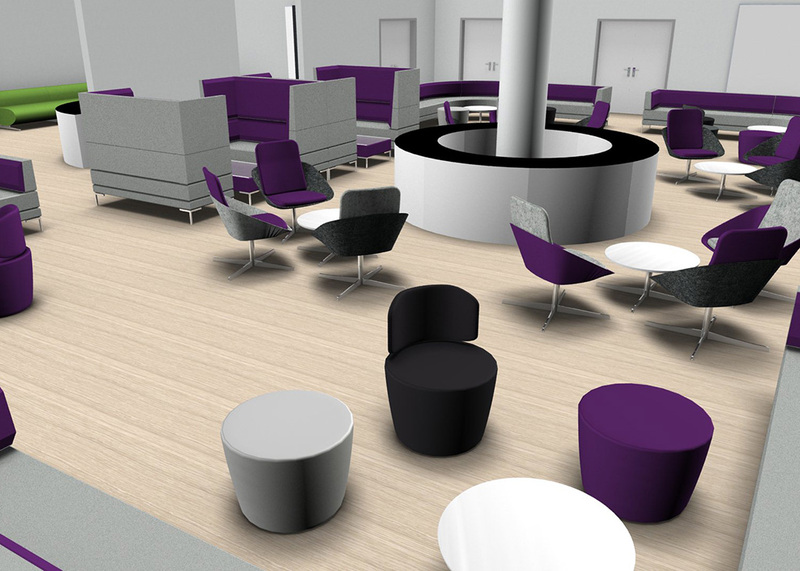 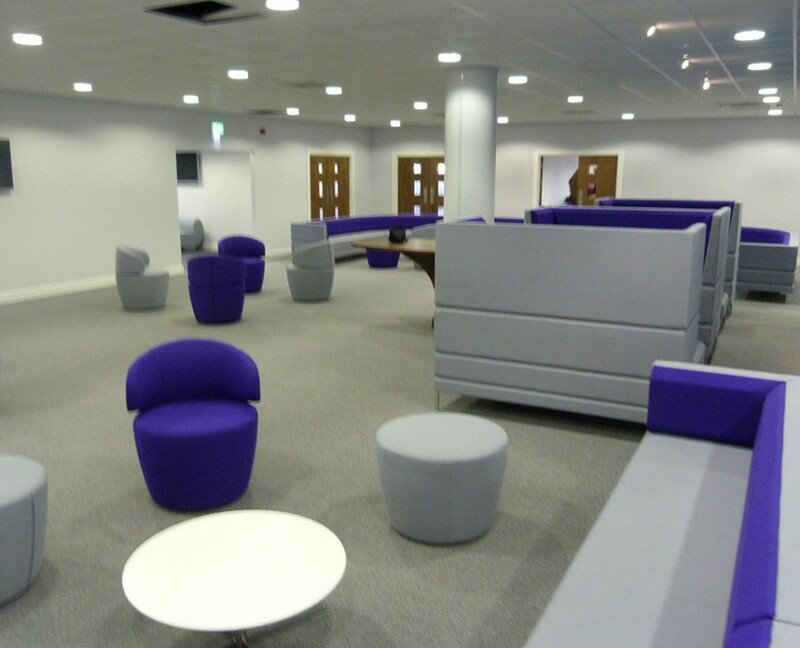 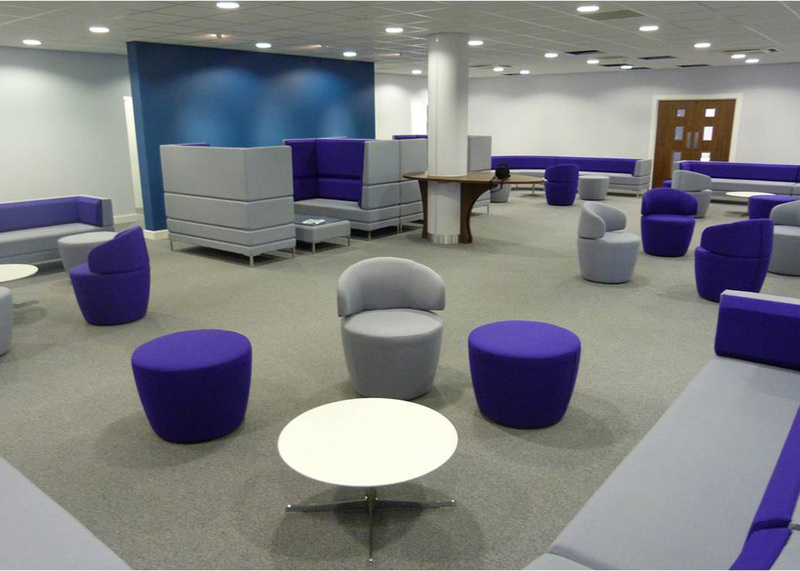 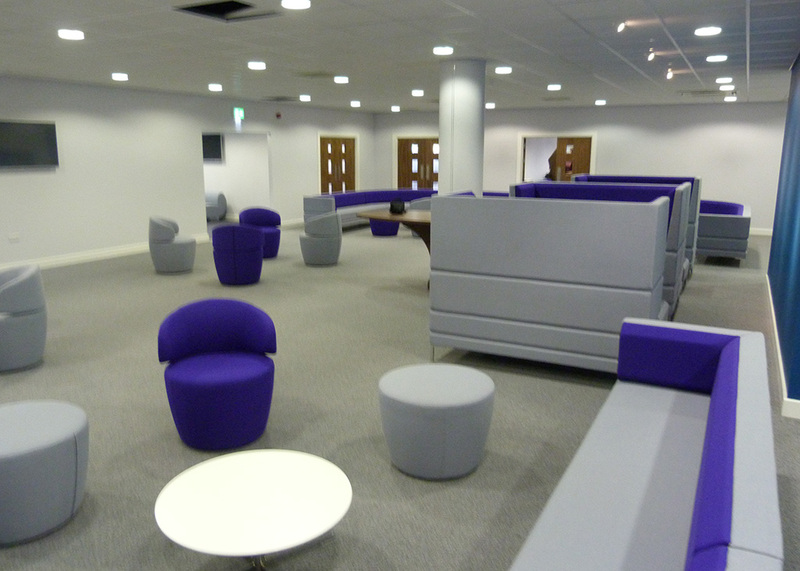 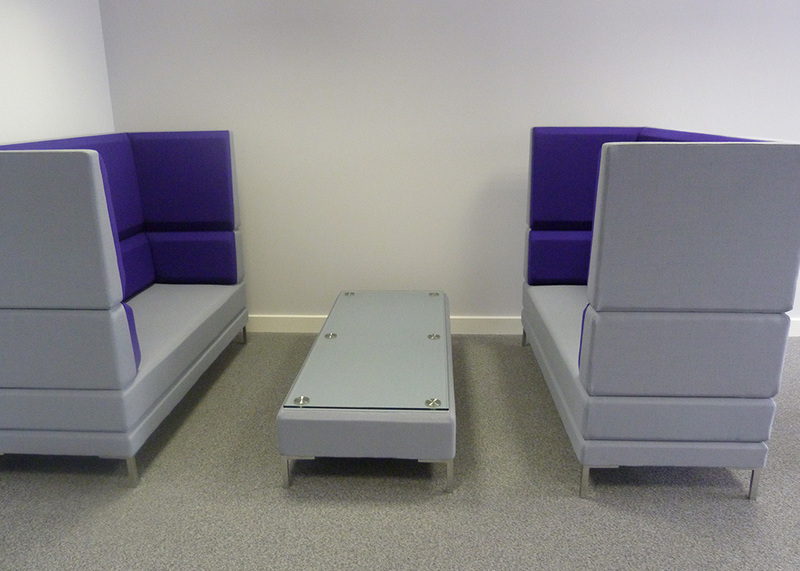 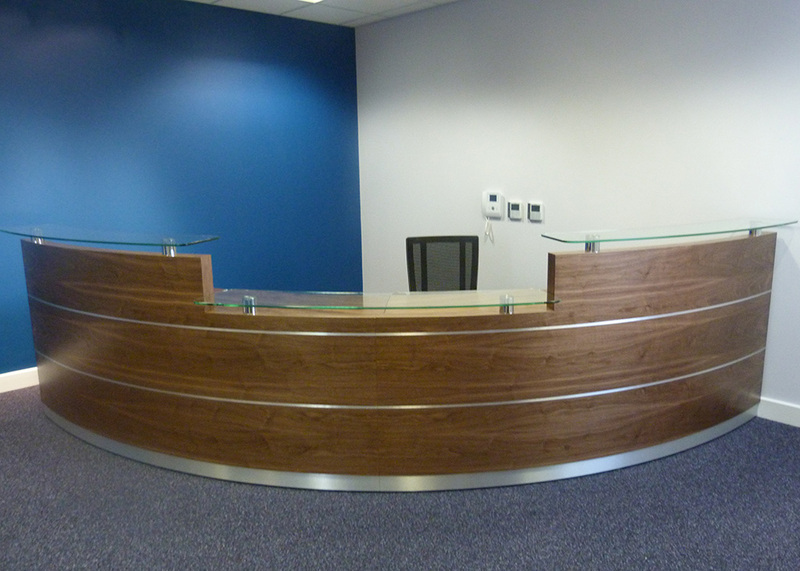 O’Val in reception with the complimenting coffee tables. 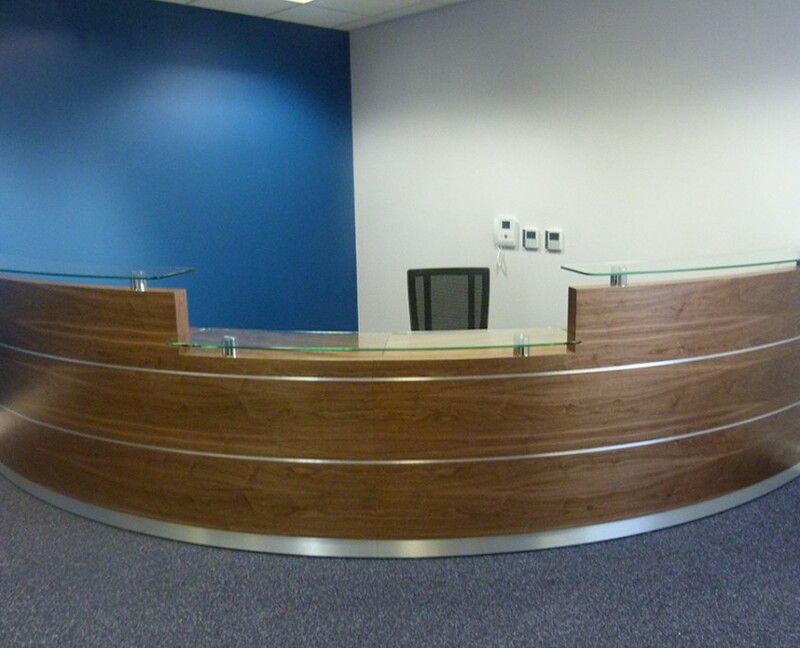 We had a bespoke counter made in walnut veneer by Tula furniture which looks absolutely stunning as a first impression.